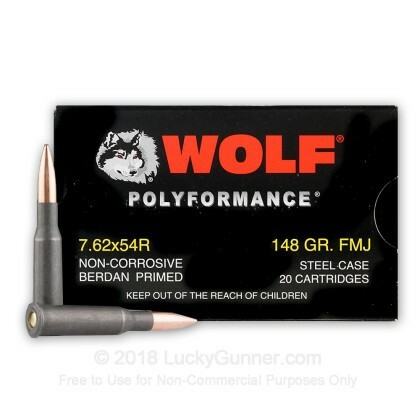 This new production 7.62x54mmR ammunition is just what you need to keep your Mosin-Nagant, PSL, or other classic rifle on the range at a reasonable price. 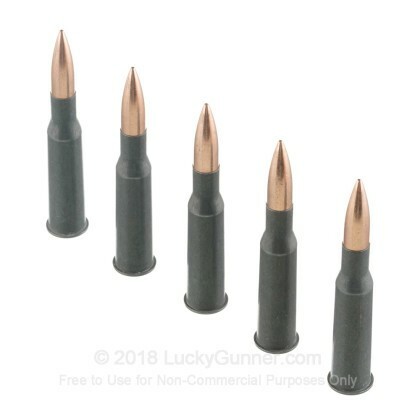 These rounds are a cut above their surplus peers with polymer coated casings that ensure smooth feeding and ejection without the potentially heavy fouling of lacquered coatings. 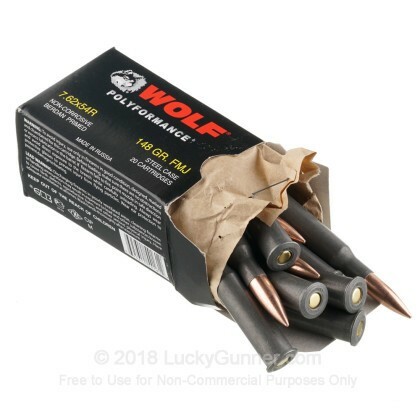 Each cartridge in this case of 500 fires a 148 grain full metal jacket bullet. 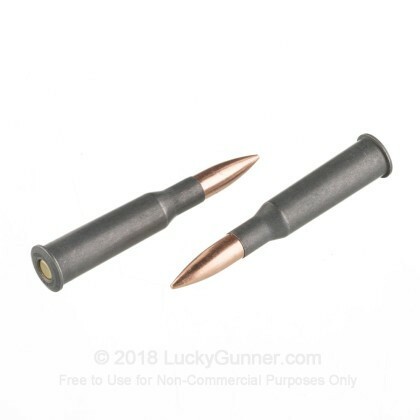 This round delivers the strong long range performance that has kept this caliber in use by snipers and machine gunners in many former Eastern European and former Soviet countries well over a century after its introduction. 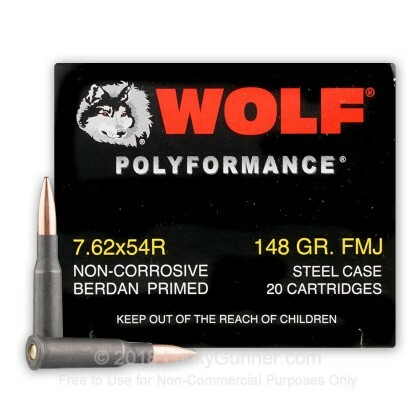 This ammo is loaded in Russia using non corrosive Berdan primer and steel cases; the cases are magnetic and may not be suitable for all ranges. However, as indoor ranges are typically the ones prohibiting ammo with steel components, rifle shooters should encounter few problems. The Wolf Polyformance worked perfect. No misfires and was not dirty at all. 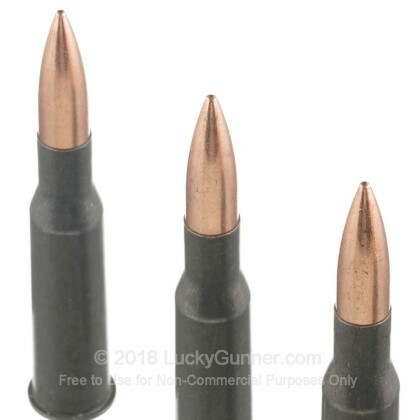 Rounds were accurate and consistent. Can’t beat it.